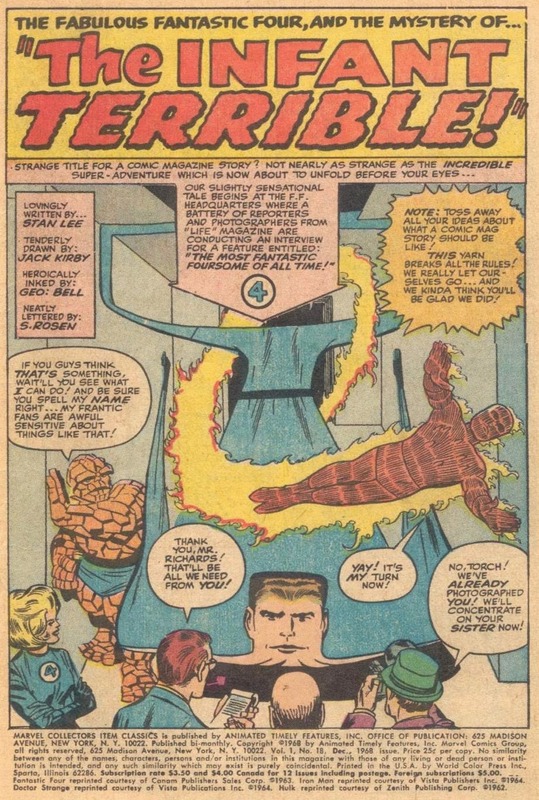 If you had been a FANTASTIC FOUR reader for less than five years this never-before-reprinted story in MARVEL COLLECTORS' ITEM CLASSICS #18 would be new to you. Part of the fun of rereading Silver Age Marvels is knowing now that Lee would provide the beginning and ending and task the artist/co-plotter with supplying the middle. Superhero stories being formulaic that was frequently as simple as choreographing fight sequences. 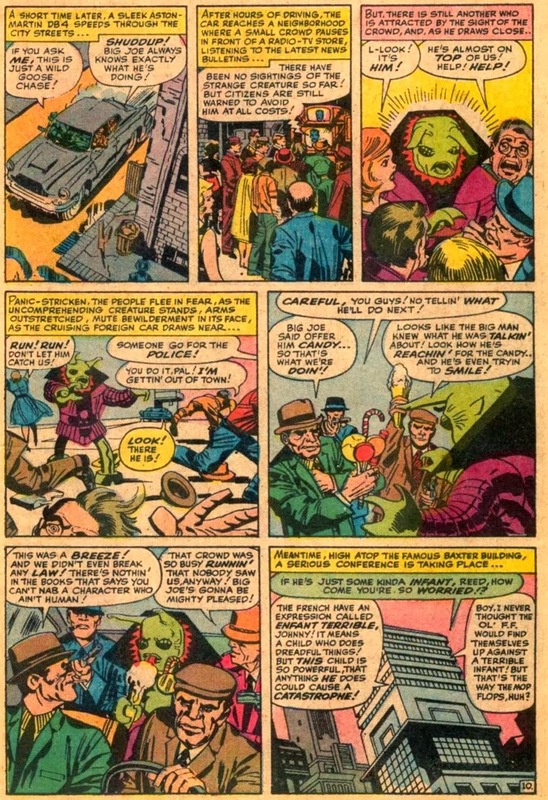 Having the alien interact with gangsters was probably a Kirby contribution.